Here are a few more chess highlights from the Brookyn Daily Eagle from 1900 to 1929. The chess column was edited by Hermann Helms (1870-1963). 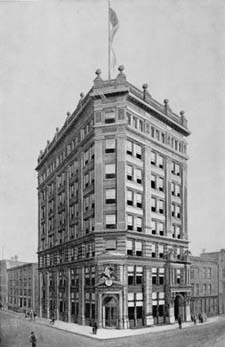 Above is a rendering of the Eagle's editorial offices in its building on Washington and Johnson streets, which the paper moved to in 1892 after a half-century on Fulton Street.